On a frosty Boxing Day evening in 1870 a wheel on a north-bound train travelling through North Mymms fractured sending carriages down the embankment at the Marshmoor railway crossing near Welham Green. Eight people died on that cold evening, including two local women - sisters-in-law - who were walking close to the line. Three people were injured. Earlier in the day Anne Oswin had been visiting her mother, Elizabeth Harrow, for a Boxing Day lunch. They'd eaten together at two o'clock. It's not clear what time 21-year-old Anne left her mother's house, but it was to be the last time Elizabeth would see her daughter alive. 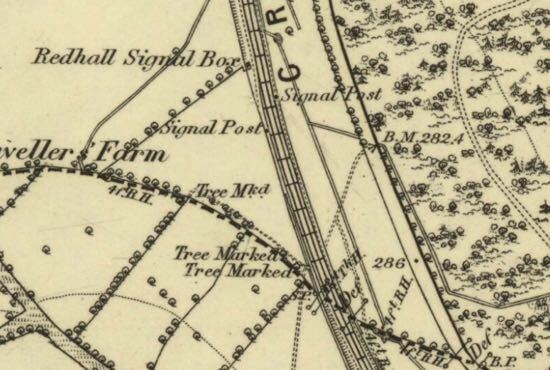 Anne's husband, William, was a signalman at Redhall, which was a little north of Marshmoor. William's sister, 27-year-old Sarah Kershaw, was visiting for the day. She was due to return to the Islington home she shared with her coachman husband that evening. At some point Anne and Sarah met up. They were spotted by local woman Susan Hawkins going through a gate leading to the level crossing over the Great Northern Railway line. Twenty minutes earlier John Fuller, an engine-driver with more than 12 years' experience, took the controls of the 4.25 train from London King's Cross to Peterborough. The first stop was scheduled to be Hatfield, where it was due to arrive at 4.52. The eight-carriage train headed north. It was running one minute late. There were 17 passengers on board. All were in the same second-class carriage, number 385. It was the third carriage behind the engine, and was to be the section of the train to suffer the most damage when the train reached Marshmoor. The temperature in North Mymms was 20° Fahrenheit (-6.5° Celsius) - a fact that was to have a bearing on what happened next. As the train approached the Marshmoor crossing it was travelling between 35 and 40 miles an hour. Driver John Fuller "perceived a slight oscillation" of the engine, and sensed it was gaining speed. He looked back beyond the coal-filled tender and, although it was dark - the sun set at 3.56 on 26 December 1870 - John Fuller could see that he had lost his train. 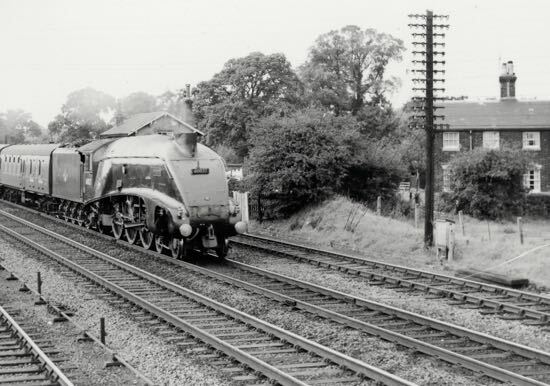 He slowed the engine, eventually stopping at the Redhall signal box - where Anne Oswin's husband William worked - about three quarters of a mile north of the Marshmoor crossing. Susan Hawkins said she saw Anne and Sarah enter the crossing gate, turn, and "walk down the line". A few minutes later Susan "heard a smash"; both Anne and Sarah had been hit by a derailed carriage, and killed. A local man and boy were standing at the same crossing gate at the time, they were both injured by flying wreckage. Signalman Henry Town, who operated the Bell Bar signal box half a mile south of where the accident occurred, lived in a cottage close to the crossing where Anne and Sarah had just passed. Henry was enjoying a day off work. He was looking out from his cottage window when he saw a carriage rebound and strike a stack of sleepers. He ran out and saw a man crawling out of a ditch. Henry was the first person at the scene of the accident. He went on a little further, and saw the upper portion of a man's body. Henry says he grabbed some fog signals and went towards his Bell Bar box in an attempt to warn other trains. Henry then went to nearby Skimpans Farm to ask the farmer, Frederick Gunton for help. "I told my mate that there was a dreadful accident at the gate; told him to block the road, and telegraph for assistance. I then went to Mr. Gunton's farm for assistance. Before I got to the box I met Hawkins. Told him of the accident, and asked him where the other men were, and after I had been to Mr. Gunton's I went through the village, and got all the assistance I could. I then returned to the scene. I saw Mr. Potter being led away. I afterwards assisted in getting four bodies out of the wreck of the carriages." Henry was able to warn the driver of an approaching coal train of the danger ahead just in time for it to reduce its speed before colliding with the fifth carriage, causing "slight damage". At the time, Henry's wife Annie was probably pregnant carrying Herbert George, who also became a railway worker, and who would also die on the railways at the age of 17, as reported in our feature the Mysterious death of a Victorian railway lad. Henry and Annie, had only recently moved to North Mymms from Cambridgeshire. 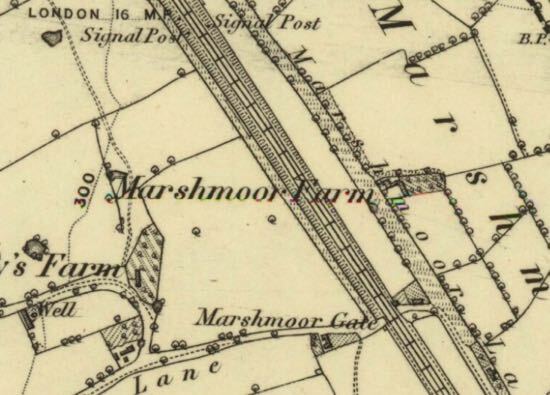 "... the bottom and sides were found in ruins in a drain on the west of the line, where it had come into collision with the south side wall retaining the Marshmoor Road, which here crosses the railway on the level. The roof of the van had shot over the road, and was lying on the side slope of a cutting, close to the north side wall. The axles of the van were found near together, about 20 yards north of the crossing, in the drain on the west of the line." "... was lying in ruins to the east of the line, opposite the van axles. 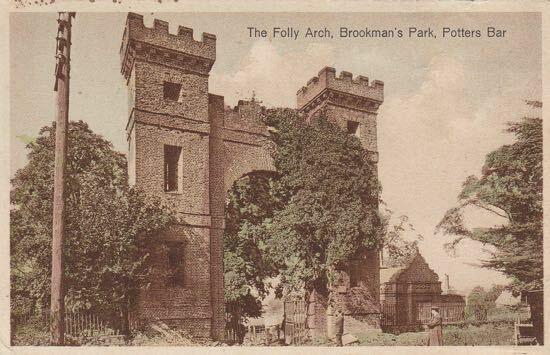 Its roof appeared to have struck the north-west angle of the top of the wall of the gate-house at the level crossing, which is about 30 feet from the down line and 15 feet high, and then to have been deflected westward and checked, and to have fallen close to it on the side slope of the cutting. The wreck of the bottom of this carriage was lying a little further north, in the drain at the bottom of the slope. Its axles, with wheels both on, were still further north." "... in which it is believed all the deceased passengers were travelling, must have cleared its way through No. 684 for the remains of its roof and sides were found in the drain, and on the slope of the side cutting on the east of the line, about 35 yards north of the crossing. The bottom of this carriage, with wheels and axles still under it, came to rest bottom upwards, 100 yards north of the crossing bridging over the drain on the east of the line. It was owing to the extraordinary course which these two carriages took after the break van had left them that the two poor women (the wife and sister of a signalman) lost their lives, and that the man and boy who were standing at the crossing gates were injured." "... was on its wheels in the drain on the east of the line, 75 yards north of the crossing. Its front and side panels were knocked in, and the left trailing spring and axle-box broken. "... was standing on its wheels obliquely, across the up line; the left front corner of this carriage was struck by the engine of the up coal train, and slightly injured." "... belonging to the Manchester, Sheffield, and Lincolnshire Company, was off the rails with its leading wheels, its front end being found of the down line, slightly injured on its front end and left side." "... was just off the rails with all four wheels; its left springs were injured." "... kept the rails, and was uninjured." 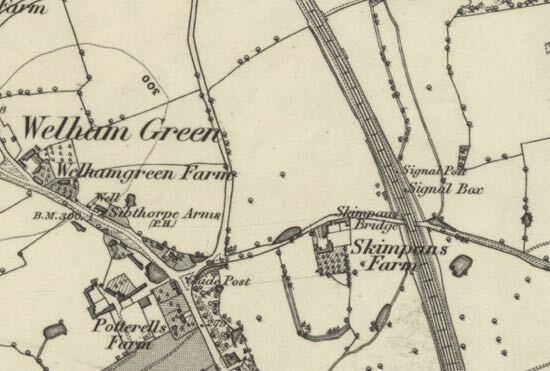 The bodies of those who perished in the Marshmoor derailment were taken to a local beerhouse, the Hope and Anchor on Station Road, Welham Green, and laid out in a shed for identification. James Pullen, a footman, who was on his way to Hitchin. George Blake (60), book merchant, who had a depot at Wheathampstead. Harry Rawlings, a 17-year-old apprentice cook/confectioner on his way home to Peterborough. Cattle dealer Thomas Bransom from Glatton near Stilton. Robert Pickworth Reynolds (13) who lived at Wheathampstead. George Potter (47) a stationer from Clerkenwell, London. The inquiry into the cause of the North Mymms train derailment, held at the schoolroom in Welham Green, was covered in The Standard, published on Thursday 29 December, 1870. The Standard was a national newspaper from 1827 until it closed in 1916. 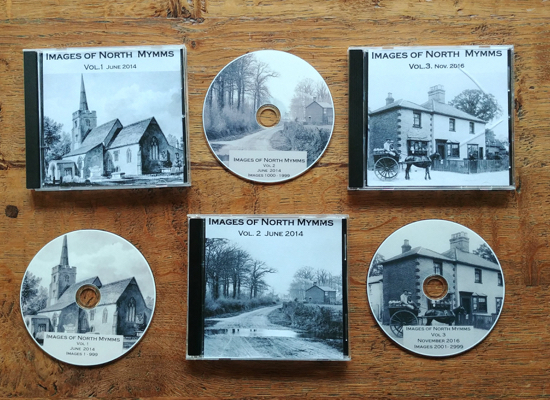 The North Mymms History Project has created a transcript from the newspaper cutting about the event (embedded below), and reproduced the text as it appeared in the newspaper at the time. Our transcript is below the cutting. 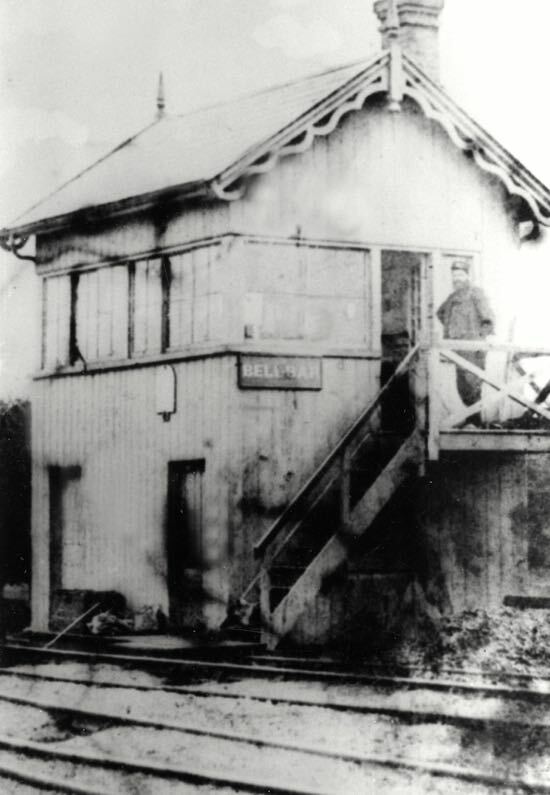 Mr. Grove Lowe, the coroner for the southern division of Hertfordshire, opened an inquiry yesterday, at the schoolroom, Welham Green, into the circumstances attending the death of the eight persons who were killed on Monday afternoon near Bell Bar signal box on the Great Northern railway. Mr. Meadows White, instructed by Mr. Wm. Leech, of the firm of Johnson, Farquhar, and Leech watched the proceedings on behalf of the Railway Company. Mr. Johnson, the chief engineer; Mr. Corkshott, the chief superintendent; Mr. Ashley the goods manager; Mr. Pendleton, assistant superintendent; Mr. Horn, Mr. Thomas Williams, and other officials of the line were also present, with the view of affording information and otherwise assisting the inquiry. The jury having been sworn, proceeded to view the bodies which lay in a shed on the premises of a small beerhouse in the village. Upon returning to the inquest room. John Fuller, the engine-driver of the 4.25 train from London which left King's-cross on Monday, deposed.- The train consisted of engine, tender, and eight carriages. A break van was next to the tender, then six passenger carriages, and the second break van. Just as I got to the gate-house on the east side of the line, and at a level crossing for carriages, in North Mymms parish, I felt a jerk. The engine gave a slight oscillation as if she had given a "slipping". I thought it was slipping in consequence of the frost, and I put some sand on the line. I went 200 or 300 yards beyond the gate-house, when I found that I had left the train behind. I went on for about half a mile further when I pulled up. I did not stop before, because I (did) not know the train was off the line. I sent the fireman back with a light to see if the train was following. I returned after him steadily until I met the guard. I picked him up. He told me what had happened, and I went to Hatfield for assistance. I got Mr. Alexander and other officials, and returned to the scene of the accident a few minutes afterwards. When I got back I saw, I think, about three or four carriages smashed to pieces, and three dead bodies lying on the east embankment of the line. They were about 30 or 40 yards from the gate-house. By Mr. White.- I went to Hatfield for assistance. Mr. Alexander, the district superintendent of the line, and several medical men, returned on the engine. It was very dark when the accident happened. If the train had kept the metals it would have run into the engine had I stopped it. That is the reason I went on. By the Foreman.- My coupling was in good order. By Mr White.- I carried the coupling on with me. It is still on, and was and is now in good order. The Foreman.- I wish to know if the coupling was broken. Witness.- No: it was not. Mr. White.- What coupling was it? - A screw coupling. The Coroner.- Then the hook of the tender and the screw coupling were carried on with the tender? The Foreman.- What rate were you going? Witness.- From about 35 to 40 miles an hour. Mr. White.- That is your usual speed, I believe? The Foreman.- Did you see the broken wheel? Walter Farmer, the fireman to the same train, said he first saw that something was wrong about half a mile before he got to the level crossing. He then looked behind and found the engine and tender had left the train. He went back with a light, and about half way from where the accident happened and the signal box he met the guard, Richards, who told him the train was off the line. He then went to the driver and told him to go on with the engine to Hatfield to get assistance. Upon returning to the scene of the accident he saw three or four bodies lying on the embankment on the left side of the line. He then returned to take charge of the engine, and remained with it till the line was cleared. The Coroner.- Did you notice the couplings? - Yes, they were quite safe. Did you look at the couplings? Yes, directly after the accident, and we found the hook and the coupling perfectly safe. Was the whole of the screw coupling attached to your tender? - Yes, sir. And, as I understand it, you carried away with you the screw coupling in good order? - Yes. Then it must have been unhooked in some way? - Yes. Thomas Richards.- I was guard to the train in question, I was in the rear break. I believe there was no one in the front break van. I first felt symptoms of what had happened when I got near the crossing. I found then that the train was slackening very fast, and I then heard the cracking of timbers, and almost immediately afterwards we came to a standstill. The Coroner.- You were going, I believe, at 35 miles an hour? - Yes. Then it was all instantaneous? - Yes. sir, it was. Well, what did you do? - I got out of the break, and seeing what had happened I gave the signalman some fog signals to go and put on the up-line. I then went on towards Hatfield, and saw the engine driver. I told him to go on to Hatfield for assistance. I went to Hatfield with him and the fireman on the engine, and returned as soon as we could with assistance. When I got back I saw the front break van was on the west side of the down line. It was close to the down line. The wheels and frame only were left. It was not more than a yard from the metals. I saw the fragments of two other carriages on the east side of the up line. They were also off the metals. The last break van was the only vehicle on the line. Mr. White.- They were not all upset, you understand? The Coroner.- Oh, yes, distinctly. Examination continued.- The carriages remained across the up and down lines. The Coroner.- Did you see any dead bodies? Witness.- Yes. sir. As soon as I got out of my van I saw one lying on the east side of the line, and a man was keeling upon the embankment. They were both males. When I returned from Hatfield I saw three or four bodies lying on the east embankment. I remained at the scene of the accident about four hours giving assistance. The signalman, Town, was the first person I saw when I got out of my break van. Mr. White (to the Coroner).- Town lives close by there, sir. He was then off duty. The Coroner (to the guard).- Was he then standing near the level crossing? Witness.- No, sir; he came running up to me. The Foreman. - Had the train come to a standstill when you got out of your break ? The Foreman. - One part of the train struck the gate-house. What part of the train was that? - I do not know. The break in front had two compartments and a luggage compartment. Fuller, recalled.- I did not see anybody walking by the side of the line. Walter Farmer, recalled.- I did not see anybody walking on the line. By Mr. White.- The fragments of the leading break were on the down line. By the Coroner. - I believe the break van and three of the leading carriages were broken up. By Mr. White.- I succeeded in stopping an approaching coal train. The Foreman. - The coal train was about 300 years off when he put the signals down. A Juror.- Then did you succeed in stopping that train in 200 yards? Mr. Richards.- Well, sir, it just struck the broken carriages. By the Coroner.- The first carriage was a break van, then there was a second-class carriage, then two first, then a second, a first, and the rear break. Mr. White (to the Coroner).- I think I may as well inform you, sir, that there were no third-class passengers at all; those who were killed and injured in the train were travelling in second-class. The Coroner.- Then you think the third-class carriage was empty? Mr. Cockshott.- Unless the passengers selected the third-class carriage it must have been empty. Henry Town.- I am a signalman at the Bell Bar box about half a mile south of the level crossing. I live in a cottage at the level crossing. I was in my house at the time of the accident looking through the glass door of my cottage. The cottage is on the east side of, and looks on to the line. I saw the carriage rebound, and strike a stack of sleepers and the gate post on the west side of the line. They bounded across the road on the east side of the line, and struck the cottage of Hawkins, a platelayer, which is close to the level crossing. My cottage is about 20 or 30 yards from the level crossing. I immediately ran out, and I saw a Mr. Macfarlane crawling out of a ditch on the east side of the line. I went on a little further, and saw the upper portion of a man's body in the "six-foot". I got some fog signals from the guard, and I went up the down line as far as the Bell Bar box. I told my mate that there was a dreadful accident at the gate; told him to block the road, and telegraph for assistance. I then went to Mr. Gunton's farm for assistance. Before I got to the box I met Hawkins. Told him of the accident, and asked him where the other men were, and after I had been to Mr. Gunton's I went through the village, and got all the assistance I could. I then returned to the scene. I saw Mr. Potter being led away. I afterwards assisted in getting four bodies out of the wreck of the carriages. I believe a break van and two carriages were broken to pieces. Mr. White.- It was not a break van, it was what is called a break carriage. The Coroner.- So that there might have been some passengers in it? Witness.- There might have been, but I do not think there were in this instance. Examination continued - The broken break carriage was lying on the west side (up line), and the other carriages were on the east side of the line, near the gate. I did not see any one walking on the side of the line. Mrs. Oswin, Mr. Kershaw, Mr. Bransome, and the boy Reynolds were the four whom I first assisted out of the wreck. After I got the four bodies out I looked under the carriage and saw a man's head. I also saw the arms of a man lying on the "six foot". A Juror,- was it an old man or a young man's head? - I could not tell. It was dark at the time, but I know it was a head that I saw. I was near the Bell Bar box when I heard the fog signals explode, and subsequently the crash caused by the coal train running into one of the carriages. By Mr. White.- There was no one hurt by the coal train. It came up with sufficient force only to just break the panel of the carriage. It did not come up with enough force to push the carriage over, although it stood right across the up road. When I left the level crossing I found a piece of the tire about 120 yards from the crossing. I also found two other pieces lying near the sleepers on the west side of the down line, a few yards further on. Each piece was about 18 inches or two feet long. They appeared to be about the length that could reach from spoke to spoke. John Hawkins, foreman platelayer, said he heard of the accident five or six minutes after it happened. He immediately went towards the scene and on his way saw one piece of the tire lying in the "four-foot" of the down line. He assisted to get out six bodies from the wreck. There were four males and two females. John Rutherford said he knew the deceased James Pullen. He was a footman, in the service of Mrs. Lewis. He was on his way to Hitchin. John Parnell, of Hammersmith, identified the body of George Blake as that of his father-in-law. He was 60 years of age, and was travelling for a book society. He had a depot at Wheathampstead. John Thomas Rawlings, a clerk, residing in Stroud Green Lane, Finsbury Park, identified the body of Harry Rawlings, as that of his brother. He was 17 years of age, and was an apprentice to a cook and confectioner at Worthing. He was on his way home to Peterborough to spend his holidays. John Bransom living in Canonbury, Islington, identified the body of Mr. Thomas Bransom, as that of his uncle. He was a cattle dealer, residing at Glatton, near Stilton. Thomas Reynolds identified the body of Robert Pickworth Reynolds as that of his son. He was a school-boy, 13 years of age, and resided at Wheathampstead. The signalman, Town, was recalled, and identified the body of Anne Oswin as the wife of William Oswin, a signalman at Red Hall. George Potter of 77, St. John-street-road, Clerkenwell, identified the body of George Augustus Potter as that of his father. He was a stationer carrying on business at the above address and was 47 years of age. Henry Fairhurst, inspector of permanent way, said that he was at Hatfield at the time of the accident. He immediately made for the scene. He examined the fragments of the carriages, and afterwards saw six bodies lying on the embankment of the line. He saw Mr. Potter, who died about 20 minutes afterwards. He found the third largest piece of the tire about 120 yards from the gate, lying in the "six-foot." He also found two smaller pieces lying in the ditch on the east side of the down line. The largest piece (about one-half of the complete tire, weighing nearly two cwt. ), was lying in the same ditch nearer to Hatfield. John Alexander, superintendent of the Hatfield district, deposed that he received a telegram of the accident, and arrived at the scene about half an hour afterwards. He took possession of the broken tire. The 24 pieces produced formed a complete tire of a railway carriage-wheel. He saw the wheel to which the tyre was attached. There was no other tire or broken wheel belonging to the train. The tire was nearly new, and bore the following inscription:- Cammell, Sheffield, cast steel, 2, 1870, G."
The Coroner. - Does anybody know if the brake was applied coming down? Witness.- The brake could not have been applied as there was no one in the carriage. By Mr. White. - All the assistance possible was rendered on the occasion by the company's servants, and also by the people in the village. William Oswin said that Mrs. Kershaw was his sister. She had come down from London that day, and was going to return that night. Anne Oswin was the wife of witness, and was 21 years old. Sarah Kershaw was the wife of a coachman living at 65, Liverpool-road, Islington. She was 27 years of age. Elizabeth Harrow, the mother of Anne Oswin, said her daughter dined with her at two o'clock on Monday afternoon, and she never afterwards saw her alive. She was not in the train. She could not say where she was at the time of the accident. 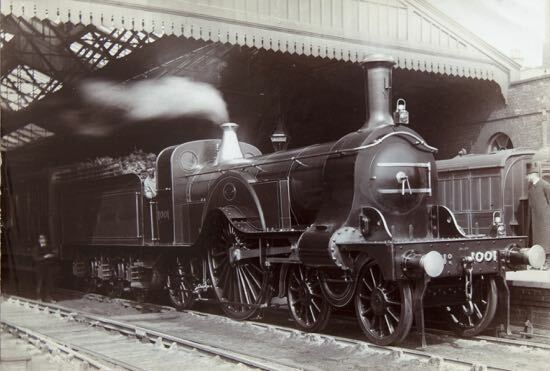 Richard Johnson, the chief engineer of the Great Northern Railway, deposed - I reside at Hitchin, and reached the scene of the accident almost nine o'clock on Monday night. I saw four broken carriages on the east side of the line, and on the west side I saw various parts of a second-class break. I also noticed that the gatepost at the level crossing on the west side of the line had been struck. I found from appearances that the down train had gone off the line south of the crossing. The first indication was a very small mark on the nearside rail about 137 yards from the level crossing. Further on there were several marks which indicated that the carriage had gone off the metals about 14 yards south of the crossing on the west side of the line. The north-west corner of Hawkin's cottage had been also struck near the roof, which is from eight to fourteen feet from the ground. I also found several marks on the up line of wheels having been driven laterally across the rails. The break van was thrown to the left, and the two succeeding carriages to the right. The pieces of steel now produced form the outer tyre of a second-class break. The tire was not riveted to the wheel, which was the old-fashioned custom, but a series of "clips" are inserted, and the tire is put on to the wheel in heated condition, so that it becomes welded or dovetailed. The plan is known as Beattie's patent for fastening tires. The Coroner. - If you put the steel on in a heated state would it not in contracting admit of the possibility of leaving interstices? Mr. Johnson. - I should say not, because the temperature is not raised efficiently for that. By a Juror.- There is an inner tire to which the spokes are welded. There are no loose parts in the wheel. All the parts are welded together. By Mr White. - I have no doubt this was the near leading wheel of the break carriage. By the Coroner.- I have examined the pieces carefully but I cannot detect any old flaw. By Mr. White.- In your judgement what was the cause of this accident? Witness.- I believe the tire failed. The Coroner.- It was a very cold night, I believe? Witness.- I believe there was 12 degrees of frost. By Mr. White.- The wheel is made by Messrs. Cammell, of Sheffield, which is one of the best firms in the country. From the fractures I should say that the tire is made of very good steel. Fortunately, we do not have many tire breaks, but I have known them to break under very low temperature. Then you know of no other cause but that of the action of the temperature which broke the tyre? - I do not. The Coroner.- The temperature and the motion of the train, I suppose? Witness.- Yes, with the motion combined. Mr. White.- According to your judgement the shrinking of the steel is the most durable and safest mode of fixing tires? Formerly, I believe they were belted on? - They were. Coroner.- Of course you cannot tell whether the shrinking was perfect? Witness.- That is very carefully regulated sir. A Juror.- It appears to me to be very brittle steel. Witness.- No it is not very brittle. It is not white enough to be brittle. Mr. Cockshott, the chief superintendent of the line, deposed that it was a standing rule to test the wheels of all passenger trains before starting them. He had made enquiries, and had assertained that the wheels of the trains in question were both examined and "tapped" before leaving King's-cross. By Mr. White.- Notice was given to the Board of Trade of this inquest, and every convenience was offered by the company for the attendance of the government inspector. Mr. Parnell.- a witness, wished to know the name of the tapper. He did not think it sufficient merely to state that the wheels were tested. He thought the name of the tapper should be mentioned. Mr. White said that the name of the man would be forwarded if he were to write to the secretary of the company. Mr. Parnell wished also to ask Mr. Johnson whether the tire was made of the best steel that could be manufactured for such a purpose. Mr. Johnson said he had no hesitation in saying that it was. Mr. Osbaldiston, surgeon, of Hatfield, who was on the scene soon after the accident said that Mr. Potter had a severe transverse laceration in the abdomen, which injury and the shock to the system produced death about a quarter of an hour after witness had seen him. Mr. Livingstone, surgeon, of New Barnet, deposed that the two females and four males were all very much injured and must have died instantaneously. Susan Hawkins said she saw Mrs. Oswin and Mrs. Kershaw go through the gate at the level crossing about a quarter to five on Monday evening, and a few minutes afterwards she heard a smash. When they entered the gate they turned to walk down the line. The Coroner (to the jury). - Gentlemen, this seems to me clearly an accident. Mr. White. - It appears clearly so to me, sire. Continuing to observe that he was instructed to express the thanks of the Great North Railway Company to all those persons, from the Marquis of Salisbury to the people of the village, who had so promptly rendered assistance under the trying circumstances. The Coroner then said there could be no doubt that the accident had been caused by the breaking of the tire before them, but whether it had arisen from the lowness of the temperature, and the motion of the train, which caused a tremulousness in the irons, was for the jury to say. Unquestionably this was one of the dangers to which railway travellers were subject, and which rendered it very hazardous to travel in very frosty weather. He feared it was a danger which it was very difficult to guard against. The Jury then retired, and after half an hour's deliberation returned the following verdict: - "We find that the males deceased lost their lives through the breaking of the tire of a wheel on the leading break carriage, but give no opinion as to the cause of the breakage; and we find also that the females deceased lost their lives through being struck by the railway carriage." The proceeding, which lasted nearly six hours, terminated. A year later, The Board of Trade (Railway Department) published its report on the Marshmoor rail accident. The embedded document below is from the Peter Miller Collection. The accident, particularly the technical details, caught the attention of American railway industry. 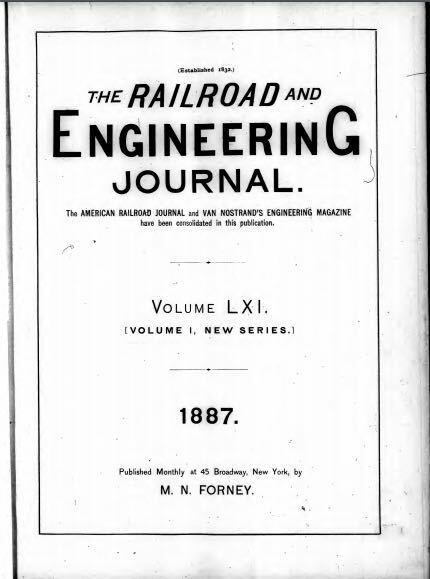 The Railroad and Engineering Journal, published 17 years after the crash, included a brief report on the event. Below is a list of the fatal rail accidents in Hertfordshire with links to the respective Wikipedia pages. The figures to the right of each entry shows the fatalities first followed by the number of people injured.